Last week we were chatting about these beautiful scarves. We talk constantly about coveting miscellaneous odds and ends so I never in a million years expected a package from her. 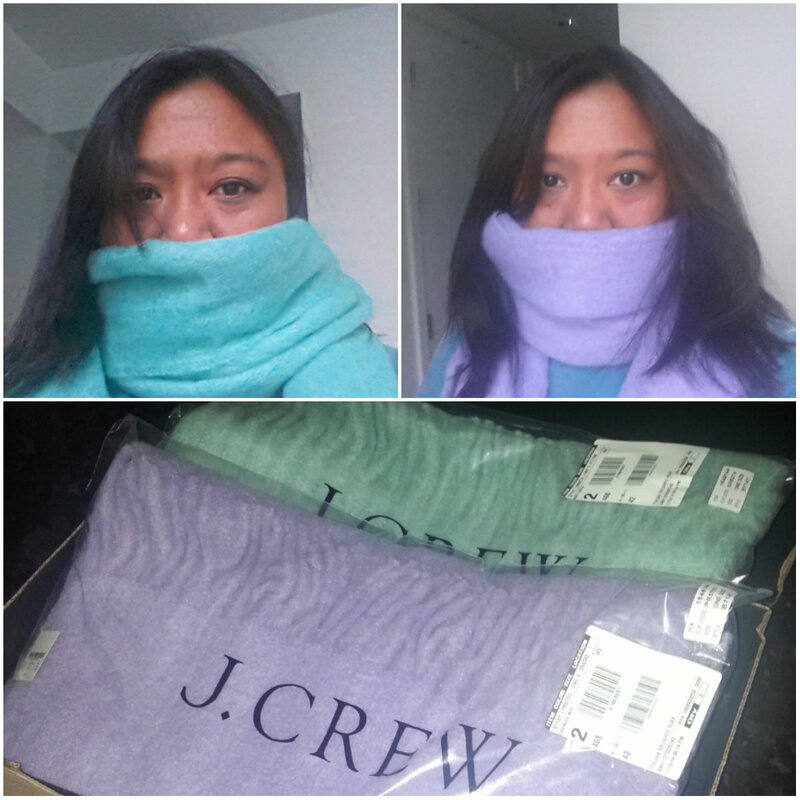 I literally cried when I opened the box and saw 2 gorgeous scarves from her. Super generous and thoughtful! She picked great colors didn't she?? Even though I totally look awful. I was just so excited when I got them that I had to do a fast no-makeup selfie to send to her. Great colours you are a lucky lady.